Tragedy, rescue, loss and the aftermath of the Full Crew Farallones sailing disaster. In the long history of yacht racing few boat s have ever seen the loss of life as was experienced by the Low Speed Chase on April 14. There are at least two tragedies with higher death tolls than in the April Full Crew Farallones Race, but those disasters both involved multiple boats in hurricane- strength winds. The weeklong, 605-mile Fastnet Race through the Irish Sea is considered one of amateur yachting’s greatest challenges. In the 1979 race, 300 boats set sail in fine weather, but within 48 hours the sailboats were pounded by a vicious and entirely unpredicted Force 10 storm that swept across the north Atlantic. For nearly 24 hours the approximately 2,700 crew members on the boats were battered by monster waves and 60-knot winds. In the end, five yachts sank, dozens of boats capsized, and 136 sailors were rescued by helicopters, merchant ships and the navies of at least three countries. Incredibly, only 15 sailors perished. In the annual Sydney Hobart Yacht Race, sailboats traverse the infamously rough 630-mile stretch of Bass Strait and the Tasman Sea between Sydney, Australia, and Hobart, Tasmania. During the 1998 race, a freakish, unseasonal storm with squalling winds and 60-foot waves resulted in five boats sinking, seven boats abandoned at sea, 57 sailors requiring rescue and a total of six deaths. It is virtually unprecedented for a single sailboat in a race to lose five crew members, and just as extraordinary for the fatalities to occur at the hand of a set of two individual waves rather than during a penetrating storm with gale-force winds. Yet the wave patterns at the Farallon Islands are particularly treacherous. Close to the islands pounded by seas kicked up by the edge of the continental shelf, volatile waves can form very rapidly. The lee shore is especially brutal, with jagged rocks and swells that intensify near the coastline. 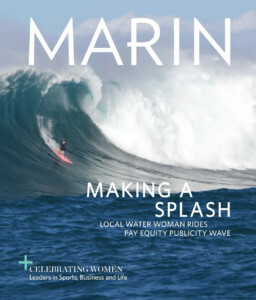 The contour of the bottom of the ocean can dramatically affect wave height, as at the famous Mavericks surf break, and the area around the Farallones has some fairly major water depth changes. Deepwater waves increase in height and begin breaking as they reach shallow water. Around the northwest corner of Maintop Island, there is a four-fathom shoal that extends hundreds of yards offshore. This reef is capable of generating plunging breakers, also known as classic surfing waves — extreme formations in which the wave face becomes vertical, curls, then collapses into the trough. When Low Speed Chase sailed toward the Farallon Islands on April 14, as anticipated, the crew encountered swells of 10 to 12 feet with larger sets as high as 15 feet. The mood on the boat was relaxed, with scattered, light conversations over the rush of the wind. Bryan spent some time getting to know Elmer. Alan, the captain, allowed Jay, Jordan, Nick and Bryan to take turns driving, and as they changed positions there was various chatter about which sail would be safest for the ride home. While it is strenuous work to sail upwind to the Farallones from San Francisco due to prevailing coastal winds, the reward is in the ride back. Equivalent to hiking uphill carrying skis and then skiing down the mountain, once a sailboat rounds the islands, the trip home is downwind the whole way, with the boat, on occasion, almost planing across the top of the water. As the crew neared the midpoint of the race, they were looking forward to that payoff. Low Speed Chase approached the Farallones around 2:30 p.m. Bryan, who had never seen the islands before but had always thought of them as mystical, was struck by their desolate beauty. Up close, there was nothing hospitable about them. The crew was near enough to smell the strong odor of birds and marine animals wafting over the water. Alex and Elmer, who commented that the islands looked like something out of Lord of the Rings, were both feeling a little seasick. As the boat sailed around the first craggy point on the northwest corner of the Farallones, there were clear swells in the open ocean, while the whitecaps closer to the rocky coastline were breaking at about 15 feet. Alan began to round the islands heading toward the second point of Maintop Island, choosing a route that took them slightly closer to the shore. Bryan kept an eye on the drop-off where the break line ended abruptly, afterward estimating that the craft was around 10 boat lengths, or 128 yards, outside of the breakers. According to GPS coordinates reviewed after the accident, the boat was approximately 400 yards, or a quarter mile, from the coastline. Their line had them crossing the shallow shoal at a depth of only about 28 feet.